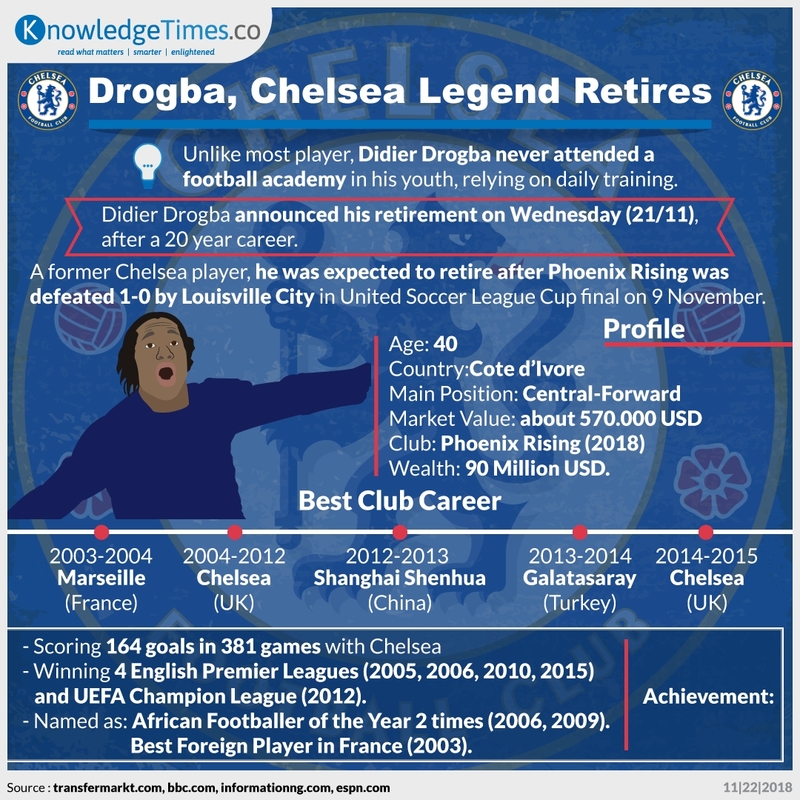 Didier Drogba, who comes from Cote d’Ivore, has a successful football career, with many achievements. He is a Chelsea hero and African best football player. Now, the legend decided to retire.